Mister Rogers took us by the hand and together we learned about ourselves, others and the world around us. His messages are as relevant today as they were 50 years ago. Childhood lies at the very heart of who we are and who we become. He helped us feel good about who we are. Mister Rogers made us feel valued and loved. “There is only one person in the whole world like you, and people can like you just because you’re you.” With that kind of encouragement, we could manage our fears and feelings, and be willing to try new things even if we might fail. His support helped us to become competent, compassionate and caring adults. He helped us with our feelings. Mister Rogers helped children understand that feelings – all kinds of feelings – are natural and normal. Feelings are a part of being human. He encouraged us to talk about our feelings so that we could manage them, because “Whatever is mentionable can be more manageable.” And he showed us some of the many ways people express their feelings. He helped us with our relationships with others. TV is all about coveting, but Mister Rogers was about appreciating what you already have, about caring for others and seeing the best in them. He helped us wonder and learn. He helped us be ready for new experiences. “I like to be told,” Mister Rogers sang. He understood that new experiences or changes in routine can feel overwhelming and scary to young children. He showed us what to expect. He reassured us. He prepared us to meet and trust the people who would care for us – the doctor, the dentist, the barber, the teacher. He talked to us honestly about difficult subjects. There was another voice behind the Mister Rogers’ Neighborhood scripts. 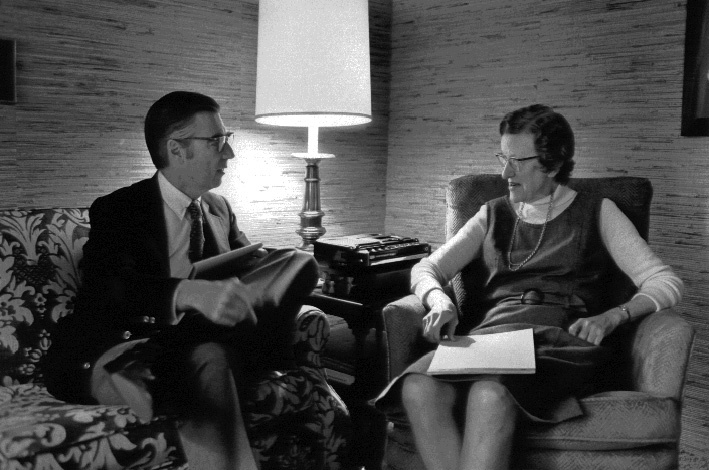 It was the voice of Fred Rogers’ chief consultant Dr. Margaret McFarland, a highly regarded child psychologist. They met regularly to discuss child development theory, so that the scripts would authentically reflect the real concerns and feelings of children. Although children’s “outsides” may have changed a lot, their inner needs have remained very much the same. Society seems to be pushing children to grow faster, but their developmental tasks have remained constant.